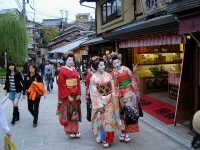 If there’s one thing that Kyoto is famous all over the world, it is its beautiful geisha. Ever since Japan opened its doors to foreigners after the Meiji Restoration, geisha have become one of the best known symbols of Japan. 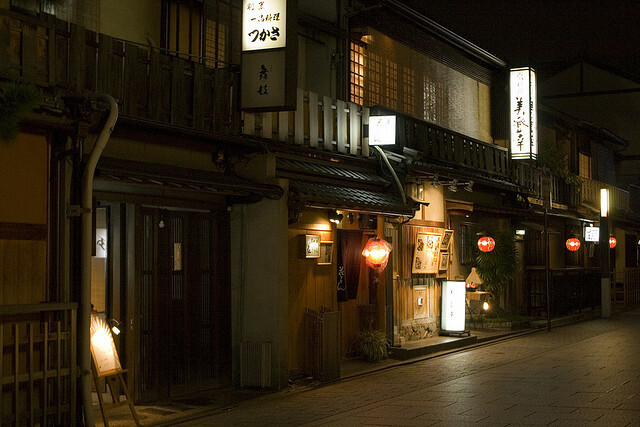 And as those of you who like films and books about Japan might know, one of the most ‘geisha-spotting’ site in Japan is Gion district in Kyoto. Kyoto’s historic quarters can often be like a step back into history – although infused with Japan’s modern spirit, they show off and preserve beloved customs and traditions from the past. Take a peek into Kyoto’s history by visiting Gion, and immerse yourself into the past when geisha, elegant tea houses, and small kimono shops were the lifeblood of Kyoto. 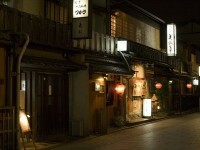 Here’s a guide to Gion, the famous geisha district of Kyoto. Yasaka Shrine, one of the most important Shinto shrines in Kyoto, was built in the 7th century, and soonafter it started to attract crowds and crowds of visitors. Gion emerged in order to accommodate the needs of the thousands of pilgrims who came to the shrine, but in no time at all it sprawled over both side of Kamogawa River, and by the Middle Ages it was the most exclusive pleasure quarter in Japan. 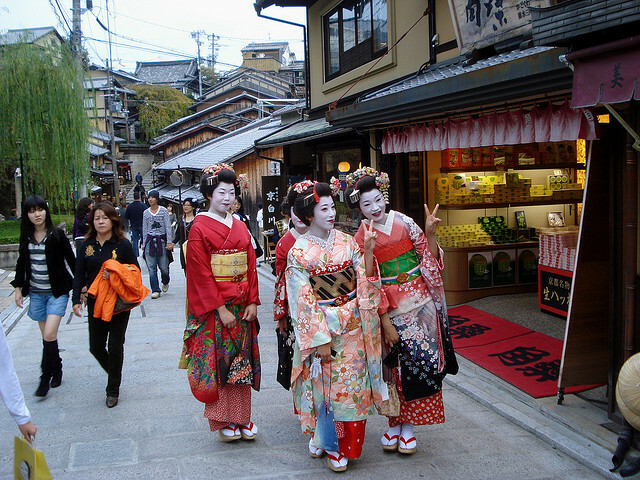 One thing that the visitor to Gion should be aware of is that the geisha in Gion, despite being the most famous geisha in Japan, call themselves ‘geiko’. The quarter is riddled with teahouses (ochaya), geisha houses and kabuki theaters (Gion is also the birthplace of kabuki). 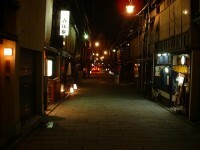 Since in the west many believe geisha to be prostitutes, Gion, the famous geisha district of Kyoto is often believed to be a red light quarter, but nothing could be further from truth. 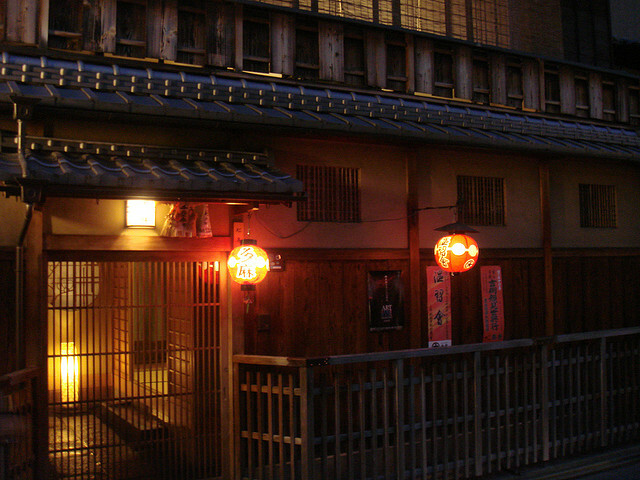 Of all the teahouses in Gion, Ichiriki is indisputably the most famous, not only because it looks much like it did when it was built three centuries ago, but also because it was a place where history happened. Ichiriki is the place where you can experience the traditional atmosphere of Gion, but sadly only a select few people are allowed to enter. Ichiriki functions by invitation only, and even then it takes huge sums of money to be entertained by the geiko and maiko (apprentice geiko). A regular tourist might not be able to get into Ichiriki, but there are plenty more ochaya lining the streets and alleys of Gion. These teahouses do more than simply serve tea – you’ll be introduced to traditional Kyoto-style entertainment. Nibble of sweets and snacks, drink tea, and admire the sophisticated arts of the geiko: dancing, singing, playing the shamisen. Everything that the geiko do is a craft in itself, perfected after long year of training, from how to weart the voluminous and resplendent kimonos to how to open a door and pour tea with unimaginable grace. Yasaka Shrine is undeniably the most famous landmarks of Gion, but after a visit to the shrine you are free to roam the many narrow alleys of the historic district. The authorities of Kyoto are doing the best to preserve the historic architecture of Gion, and most of the buildings you see, although restored, have been standing for centuries. Take a stroll through Maruyama Park, and stop for lunch at a traditional sushi place. If you are in Kyoto sometime in April, don’t miss out on the wonderful Miyako Odori, the Cherry Blossom Dances that last throughout April and are performed by the talented geiko of Gion.